Enrollment is now open for the 2018-2019 Conservatory Program for kids ages 9 – 18. This year we have an exciting agenda planned. Students will study acting for TV, film, and commercials. Class size is limited to ensure the most beneficial individual focus. The students will also be guided and assisted in their marketing package needed in this entertainment business, including creating resumes and online profiles on legitimate casting sites and audition preparation. End of May 2019, the students will perform before casting directors, producers and agents. Wonderful success stories from previous and current students include national commercials, principle roles in television shows and feature films. For registration or any program questions, please contact Jillian O’Neil at 724-612-7213 or [email protected]. Ages 9-12 — 10 a.m to 12:30 p.m.
Ages 13-HS Senior — 1 p.m. to 3:30 p.m.
Jillian O’Neil is both a Director and Actress who attended New York Film Academy as well as Point Park University and has taught numerous acting workshops in Los Angeles, NYC and Europe. Jillian’s recent film, A Separate Life, has gained notoriety for winning such awards as the 2013 Direct TV Movie of the Week and also premiered at Cannes Film Festival. In 2011, Jillian was named Best New Director at the AOF International Film Festival. With over 25 years worth of experience both in front and behind the camera, Jillian has such credits to her name as Mad Men, Medium, Hot in Cleveland, All My Children, 6 Souls, King of the Road and many more. She has also been cast in numerous national commercials and international stage productions including Grease, Cinderella and Starlight Express (Germany and USA). She is currently developing an uncover cop TV show Western Avenue, also a teen talk show. Jillian is a member of SAG/AFTRA and Actors Equity. 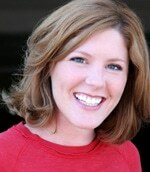 Currently, Jillian is Executive Producer and Director of “TTYS..The Teen Talk Show,” on FOX53.